These 5 affordable, at-home gadgets featured in the Spring 2012 issue of ScrubsÂ will help you stay and keep in shape. They may look like a couple of Frisbees, but don’t let these Gliding discs from Savvier fool you. Adding them to your classic strength moves—like sliding lateral lunges or a run-in-place plank—forces you to use more of your muscles, increases your heart rate and amps up your workout big-time. 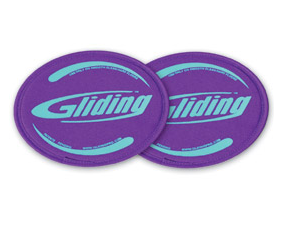 $23 with DVD workout at glidingdiscs.com.